Legend has it that when the gods distributed the earth, they gave Poseidon, God of the Sea, a tiny yet beautiful island called Atlantida (Atlantis), which was mysteriously lost. Thus Hotel Atlantida greets their guests with warm hospitality enabling them to devour its beauty and comfort. 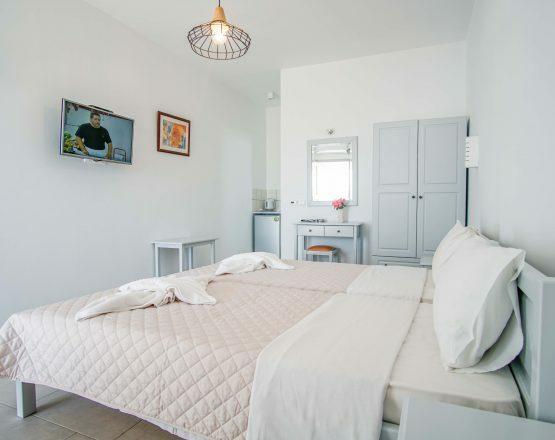 Newly constructed additions to Hotel Atlantida include rooms with luxurious bathrooms, a swimming pool with a lounging area where its guests can enjoy their breakfast while absorbing the magical views of the port, Chora and Ammos Beach. A small footpath leads you directly to the beach in an instant and from there to the port or the narrow streets of Chora. 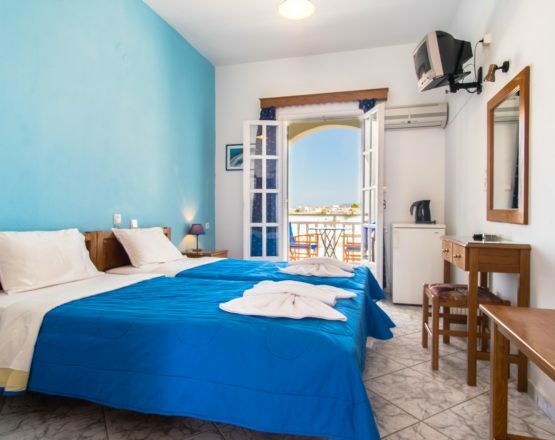 Hotel Atlantida offers all modern amenities that will help you feel at home away from home. Parking is available. Major credit cards accepted.